Major steps forward in the development and use of technology are required. In order to achieve solutions of the required scale and magnitude within a limited timeline, it is essential that engineers be not only technologically-adept but also aware of the wider social and political issues that policy-makers face. Likewise, it is also imperative that policy makers liaise closely with the academic community in order to realize advances. This book is designed to bridge the gap between these two groups, with a particular emphasis on educating the socially-conscious engineers and technologists of the future. 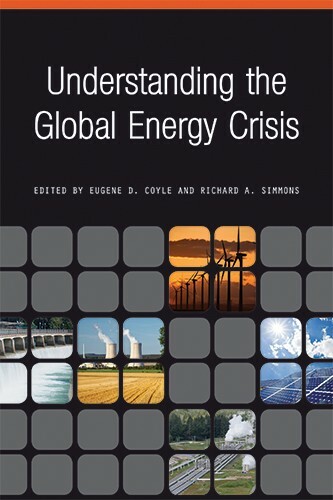 In this accessibly-written volume, central issues in global energy are discussed through interdisciplinary dialogue between experts from both North America and Europe. The first section provides an overview of the nature of the global energy crisis approached from historical, political, and sociocultural perspectives. In the second section, expert contributors outline the technology and policy issues facing the development of major conventional and renewable energy sources. The third and final section explores policy and technology challenges and opportunities in the distribution and consumption of energy, in sectors such as transportation and the built environment. The book’s epilogue suggests some future scenarios in energy distribution and use. Eugene D. Coyle is Dean of the Military Technological College of the Sultanate of Oman. He was previously a faculty member at the Dublin Institute of Technology, Ireland, where he held the (Professorial) Chair of Electrical Engineering Systems and was Head of School. Dr. Coyle's research contributions span renewable energies, power quality, biomedical engineering, and engineering education. Richard A. Simmons is a licensed professional engineer (PE) whose career has concentrated in the design and development of automotive technologies, advanced materials, and alternative fuels. Richard holds degrees in mechanical engineering from Georgia Institute of Technology (BS 1993) and Purdue University (MS 1995), where he has recently returned to pursue his doctorate. From 2009 to 2012, Rich served a AAAS science and technology policy fellowship at the U.S. Department of State, providing technical and economic analysis for international policy issues related to renewable energy during the establishment of the Department’s Bureau of Energy Resources. Prior to that, he led automotive projects in thermal science and advanced machinery design, including the conversion of alternative fuels. Rich is currently the Executive Director for Research at Purdue’s Air Transport Institute for Environmental Sustainability, and holds multiple patents.